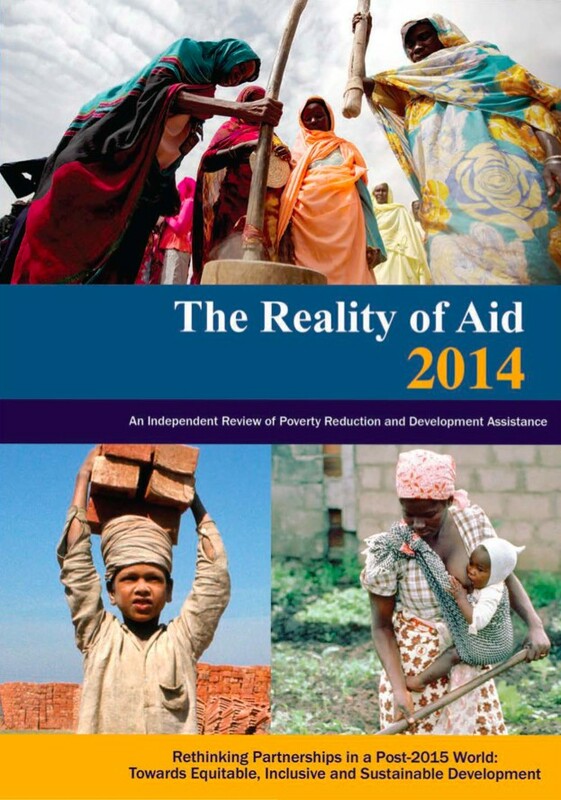 The Reality of Aid Report 2014 will be launched by the Reality of Aid Network on 4 December 2014 at the OECD Conference Centre, Paris, France. Associate Professor Chris Roche and Dr Linda Kelly of the Institute contributed the chapter “A Changing Landscape for Partnerships: The Australian NGO experience” in the report. The Reality of Aid Reports are a series of bi-annual reports about the performance of aid donors. They provide a unique perspective of civil society in both donor and recipient countries. These well-researched reports have developed a reputation as an important independent comparative reference for accountability and public awareness of development cooperation issues. The theme of the 2014 report is “Rethinking Partnerships in a Post-2015 World: Towards Equitable, Inclusive and Sustainable Development”. In the chapter “A Changing Landscape for Partnerships: The Australian NGO experience”, Chris and Linda suggest that there is widespread recognition that unusual alliances, reform coalitions and multi-stakeholder partnerships will all be needed if the post 2015 agenda is to produce the real transformation that is required to address the global challenges of poverty, inequality and sustainability issues. Australian NGOs have a range of new opportunities available to them in terms of who they partner with, where and how they partner, and the types of partnerships that they engage in. Whether they seize these opportunities will depend on remaining relevant in a changing world, being reflective about current practice and relationships, and ongoing adaptation. This chapter was based on a longer 2014 report, Partnerships for Effective Development, that they prepared (with support from Fiona Donohue) for the Australian Council for International Development (ACFID). This longer report built on previous work by ACFID looking at NGO effectiveness and accountability, which Chris contributed to with the Promoting Voice and Choice report. preconditions for equitable partnerships that contribute to sustainable development outcomes for the poor. Through the report, the Reality of Aid Network contributes a global civil society perspective on the issues. The Reality of Aid Network is the only major North/South international non-governmental initiative focusing exclusively on analysis and lobbying for poverty eradication policies and practices in the international aid regime. It brings together 172 member organisations, including more than 40 civil society regional and global networks, working in the field of international cooperation in 73 countries. Next Next post: You can’t take a supertanker white-water rafting: what future for International NGOs?